Half Logs is a simple Minecraft 1.13 mod that adds log slabs and stairs. This mod requires the Rift mod library. hi, I have few cool ideias for you to put in your mod(if you want, obviously). 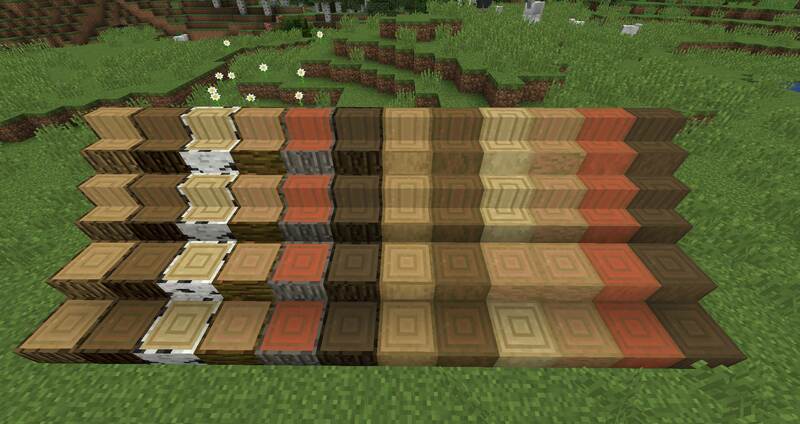 1- this one I think you are working in already: create (oak/spruce/...)wood slabs and stairs based on the 1.13 wood blocks, it's way better to construct using those instead of the log stairs or spruce stairs on vanilla. this would be amazing. 2- Add different wood type for ladders, it may sound dumb, but I think is great for building too. Also, may you put iron ladder? it's different from the mod principal ideia, but will be fun anyway. hi, I have few cool ideias for you tu put in your mod(if you want, obviously). 1. That was already suggested, indeed. 2. I've made a note of it. Can you add the ability to strip Log Stairs and Log Slabs with axes? What is the rest of the changelog? The rest of the changelog is included on the file page. 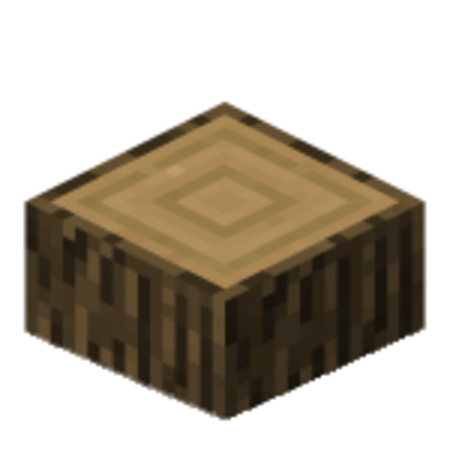 It's mostly some texture fixes and it's now important on which side of a block you right-click for the placement of Half Logs / LogSlabs, just like with Vanilla's full logs. Are you also using the latest version of this mod, though? The mod has been updated to Rift 1.0.4-65 in dev. 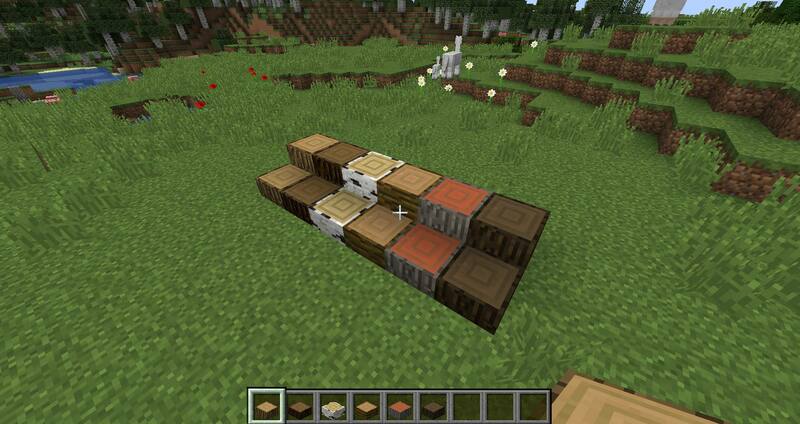 I really like the fact that the half logs match the texture pack. Is there any chance you'll add stripped half logs? Thanks a lot! This will help me improve my builds. I think it could be an amazing building mod with the addition of the different variations (Took me a while to find the spelling of that!) of the wood logs, and also stairs too! Not bad for a sample mod.